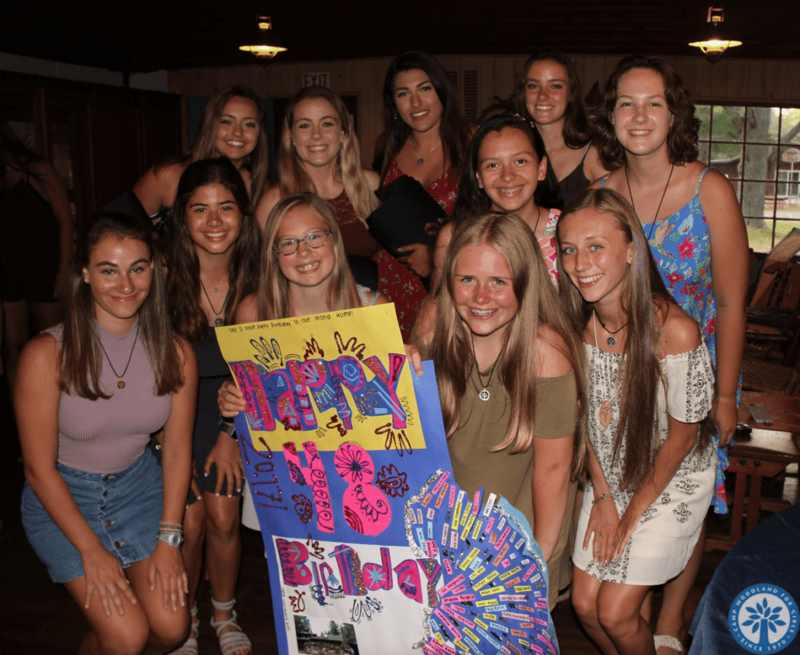 Camp Woodland | Let’s Celebrate! Woodland celebrates 48 summers and 5 & 10 year campers! Now that we are into the final two weeks of the summer, we are transitioning from “Accelerate to Celebrate” in the group development process. The girls have been at camp for a month now, and they are seeing the results of their efforts and persistence in activities. This is evident in the numerous announcements made by counselors at our daily evening assembly celebrating campers’ many achievements. 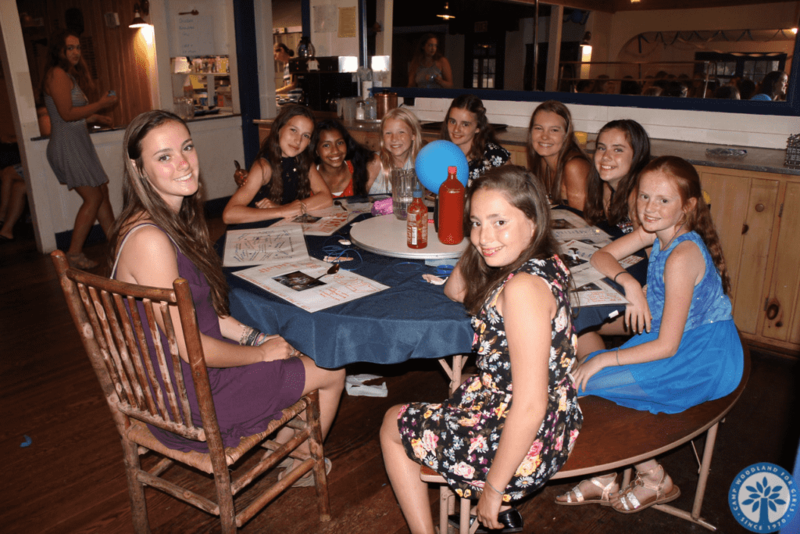 Woodland girls are passing levels in archery, riflery, and swimming, gaining proficiency on the kneeboard, wakeboard or skis during Rec Swim, trotting and/or cantering in riding, sailing off a mooring or canoeing solo,…you name it…campers are doing it and we are celebrating it! 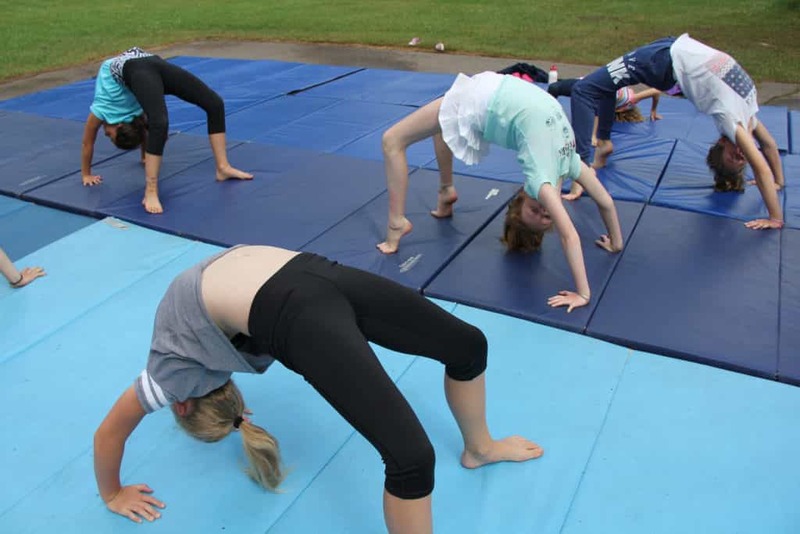 We were dazzled by gymnastics, drama, and dance performances this past weekend as the middle two weeks of activities came to a close. 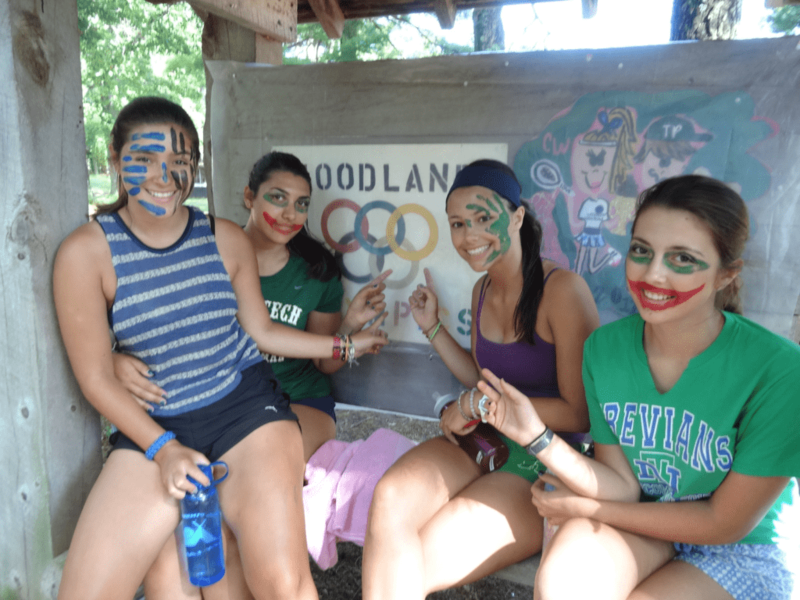 The theme for the 5th week of camp is “Sportsmanship” as we take a break from our regular routine for the Woodland Olympics. The camp is divided into teams and charged with selecting a team name and colors. There will be an entire day dedicated to individual and team events that give girls a chance to shine in ways that differ from our normal slate of activities. The morning will be a variety of track, field, and waterfront races and relays according to age group. Individual competitions are held for archery, riflery, sailing, riding and gymnastics. Tug-of-war, soccer, and the ladder jump are popular team events. 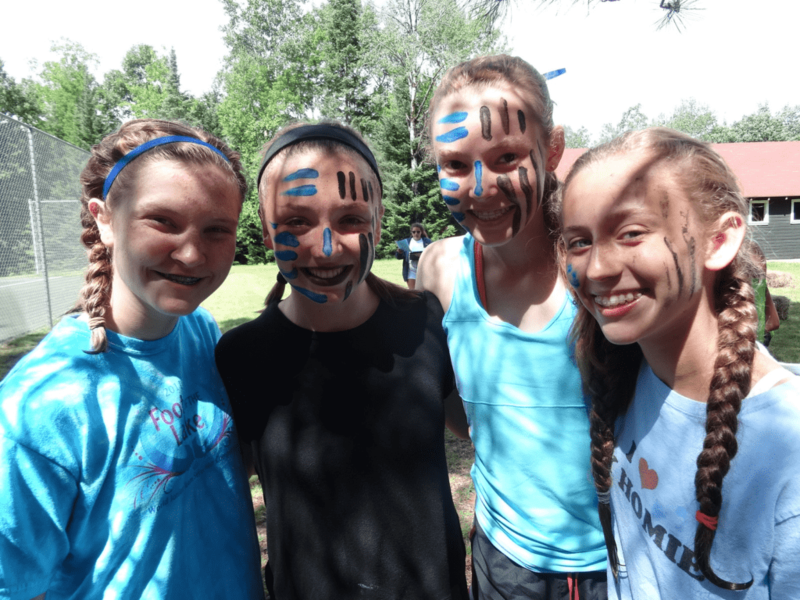 Campers with artistic and creative talents are enlisted for designing a flag and skit that are presented at the Olympic campfire. The best part of the Olympics is the endless cheering that occurs regardless if a camper is in the lead or trying her best and in last place in a particular event!